Home - Kamloops Water Haul Ltd.
No matter how big or small your water needs, we guarantee we have what it takes to deliver general use water. We deliver water throughout the entire Kamloops region. 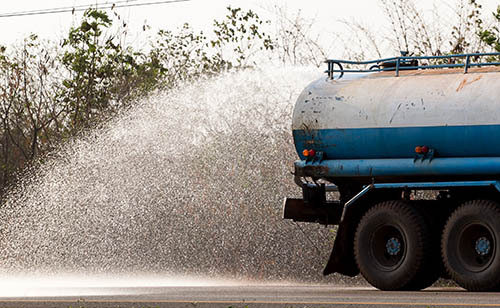 With a 4,000-gallon water truck available for hire for water delivery or spraying, we can take care of all your water hauling needs. Airborne dust is a health issue causing several respiratory and non-respiratory illnesses, depending on the contaminants in the dust. Limit your exposure to dust in an eco-friendly way; with water spraying. Delivery of water for road construction and logging roads is one of our specialties. Whether you need us to haul water for crops while you are away on vacation, or fill your water pond, call us for a free estimate. We would love to work with you to maintain that healthy green you strive so hard to achieve. Never worry about your livestock running out of water in the heat of summer. Call us to develop a watering schedule for your livestock and we will take care of this vital component of farm and ranch water supply for you. From water delivery for drilling to water spraying for industrial dust control, we are ready to assist you with your industrial water deliver needs. Fast and efficient, we have a flexible schedule to clean your parking lot in off-hours while the lot is clear of vehicles. A cistern used for agriculture can be quite large and built above-ground or below-ground. In areas where the climate is dry like the Kamloops region where we live in a semi-arid desert zone, a cistern may be the only economical way to store water for agricultural and livestock purposes. We can fill whatever size cistern you have, whether it is above or below ground. We are available for firefighting response. We will deliver water to your fill site so you have the resources you need to fight fires. We are ready for emergency response fire suppression with our 4,000 gallon tank. You just installed that new hot tub and swimming pool! Now what? Call us to fill your hot tub or pool and let the fun begin! Call us for a free estimate on flooding your skating rink, and we will flood your skating rink for you while you hunt for the hockey sticks and helmets in the garage. 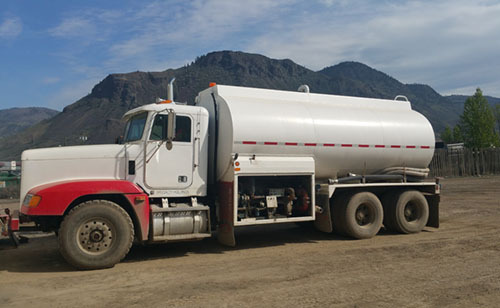 View the Kamloops Water Haul Ltd. listing in Water Hauling Service for Kamloops and area.